This is actually really awesome. CD Projekt’s PC store, GoG, has long been a popular second place runner in the PC gaming market, thanks to its emphasis on DRM free gaming, and of course, thanks to its niche as the premier delivery service for older, classic PC games. However, of late, CD Projekt and GoG have been making moves to have GoG be a viable contender in the AAA PC gaming market too- their moves have included courting some big name PC game releases, such as Age of Wonders 3 and CD Projekt’s own The Witcher 3: Wild Hunt, as well as the development of a client, GoG Galaxy. 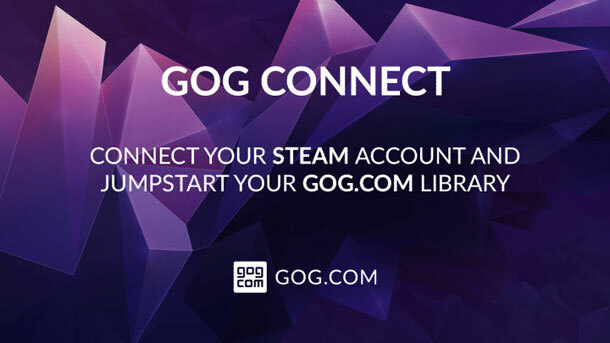 But this new move by GoG might represent their boldest, most aggressive attempt at trying to win some Steam and Valve users over- starting today, GoG is introducing the GoG Connect initiative, which allows you to link your GoG and Steam accounts together, and for certain games that are available on both services, lets you gain the GoG version of those titles, DRM free and everything, for absolutely free. Yep, it’s basically Cross Buy, across two competing services. It’s pretty damn awesome. You can find the full list of compatible games here– it currently includes all three Witcher games, Galactic Civilizations, Shadowrun Returns, and more. CD Projekt have indicated that the available games list will continue to grow over time, though some games may only be on it for a limited time.